A late addition to the crew, Wyatt came aboard the Time Bandit during opies season to relieve deckhand Kyle Dyerly, who returned home for his wife's delivery. Having grown weary of school, Wyatt had elected to pursue a career as a fisherman, and working on the Time Bandit presented him a great opportunity. Initially, Wyatt proved to be the quintessential greenhorn -- full of enthusiasm, but unaccustomed to the nuances of working on the deck of a fishing vessel. Under the watchful eye of Johnathan and Freddy, Wyatt gradually learned the ropes and, near the end of the trip, even successfully tossed the hook from the rail. 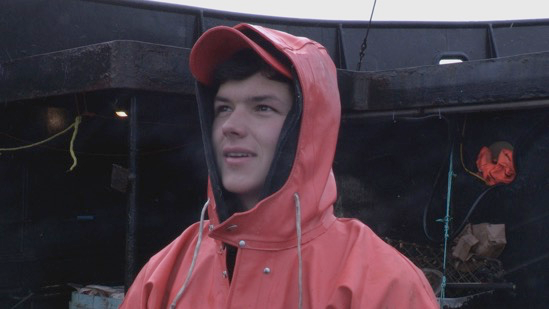 As the new season approaches, Wyatt has the opportunity to cement himself in the tight-knit Time Bandit crew and further hone the craft of his chosen profession.